Members of Finnish punk band Pertti Kurikan Nimipäivät (PKN), all of whom have mental disabilities, have applied to take part in the Eurovision song contest, in order to raise awareness for Down syndrome. In order to compete in the Eurovision, the punk band still has to win a national contest in Finland, which requires them to be selected by TV viewers on February 7. The musicians told Sputnik news agency that they are hopeful and excited about the contest. “We still have a competition in Finland that we must win to get to the Eurovision,” said the band's manager, Kalle Pajamaa. PKN will be competing against 17 other contestants. The band members – Pertti Kurikka (guitar), Kari Aalto (singer), Sami Helle (bass), and Toni Välitalo (drums) – said they are hopeful their performance will raise awareness of Down syndrome and aid social programs for the mentally challenged. “Pertti the guitarist for example is a big fan of Eurovision contest. Their families are supportive as well as the fans. Even the punk scene has been very supportive for the guys,” Pajamaa said. At the contest, the band plans to perform its song “Aina Mun Pitää” (“Whenever I have to”). PKN was formed in 2009 at a culture workshop arranged by Lyhty, a non-profit organization which helps adults with intellectual disabilities. “The members of our band are four middle-aged, mentally handicapped men. 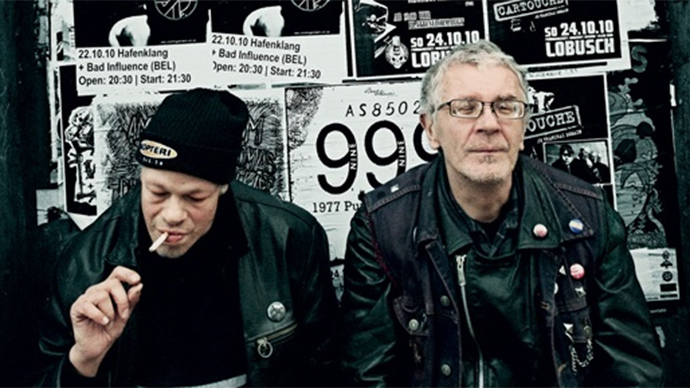 The music is, of course, Finnish punk,” the bass guitarist said, as quoted by kovasikajuttu.fi. The subjects of the band's lyrics range from social problems to unpleasant pedicures. “[The band] probably won’t take over the world, but it will accomplish something a lot more important,” said Sami Tenkanen, program manager for Finland's Radio Rock. Eurovision is an annual European song competition held since 1956, and one of the longest-running TV programs in the world. The winner of the popular song contest in 2014 was Thomas Neuwirth, a 26-year-old Austrian singer who performs in drag as Conchita Wurst.